The release of From Vietnam to Vegas! 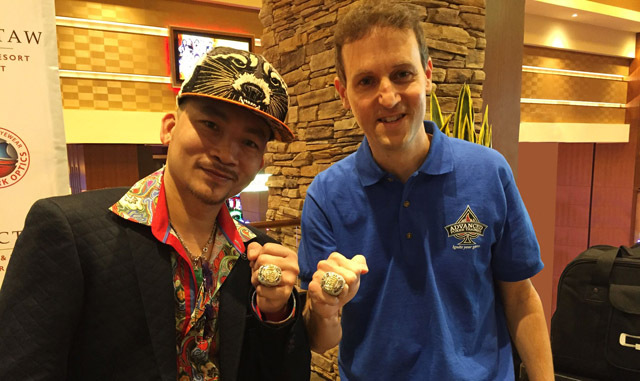 : How I Won the World Series of Poker Main Event documents the rise of Qui Nguyen, one of poker’s most enigmatic champions. With the help of poker math expert Steve Blay, Nguyen offers a hand-by-hand look at his fascinating WSOP journey. Approximately 95 percent of the book is devoted to said hands as well as Blay chatting with Nguyen about his day-by-day experience. The other 5 percent is a biography on Nguyen, which is rich in content. For instance, it dives into his tough upbringing in Vietnam, and his journey to America, which included time in both Alaska and Tampa Bay. Nguyen is also open about his passion for gambling and fast cars. But none of that recreational fun can hold a candle to his love for his young son, Kyle. Given that English isn’t Nguyen’s first language, the book gave him a solid opportunity to tell his story with Blay’s help, which is really the only opportunity for poker fans to glimpse the real man behind the player. You can pick up a copy of Nguyen’s book here. CardsChat: How did you settle on Antonio Esfandiari for the foreword, and how did you go about getting him? 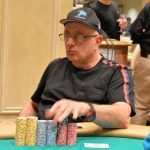 Steve Blay: Qui met Antonio around the time he was preparing for the final table and they became friends. Antonio even said on TV that he couldn’t wait to read Qui’s book. 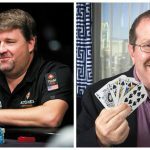 I think Antonio also recognizes that people like Qui are important for poker. You can’t have boring math geeks like me winning championships. You need aggressive gamblers in raccoon hats to keep the game interesting. CC: Given that Qui’s English is a bit shaky, what sort of challenges did you face in writing this book? Steve Blay: The first couple times we met, we definitely had trouble understanding each other, but after awhile, it got easier. Qui’s English really isn’t so bad after you get used to it, he just says some words differently than you would expect. CC: What appealed to you about working with Qui? And what sets him apart from other poker players? Steve Blay: That’s an easy one. Qui is the complete polar opposite of me. For me, every poker hand is just a math problem in disguise. For Qui, it’s all just about playing the player – the cards don’t even matter. That’s why we made a great team writing this book. He’s simply the most exceptional poker player I’ve ever met. He’s not afraid of anybody. He’s not afraid to gamble, even if there’s $8 million on the line. He can see right through you, to your soul, when he’s playing against you. CC: What was the most difficult part about writing a poker book? Qui Nguyen: For me, it’s trying to express in words what I know by instinct. I don’t think about poker in the same way that Steve does. I just know what the right play is. I just know when somebody is weak and I’m going to shove on them. CC: Qui, what are you up to nowadays? Do you work? Play much poker? Qui Nguyen: I don’t work right now, but I have had the idea of opening a restaurant one of these days. I’m always enjoyed running businesses, and a Vietnamese restaurant sounds like fun. I’m trying to get back to my home country of Vietnam soon. There have been some delays, due to some personal matters I’ve had to deal with, but as soon as I can, I want to take some of my winnings back [there]. While my relationship with my country is complicated, the people there are really poor, and American money can go a long way. My mother is still in Vietnam as well. CC: Did you do anything fun with your 2016 Main Event poker winnings? Any big purchases? Qui Nguyen: Yes, I bought a new house. A really nice house, in an exclusive part of Las Vegas. Most importantly, it has a swimming pool, which is what my son Kyle always wanted. But I’m trying to be careful and not buy too much. Money can be gone quickly if you aren’t careful. CC: What’s coming up for you poker-wise? Where can fans expect to find you next? Qui Nguyen: Right now, I don’t have an answer for that. I still play poker from time to time, but not professionally right now. I do plan to join the tournament scene again, but right now I am so enjoying time with my family. So, all I can say is – someday soon I will be back! I think this has the potential to be a very interesting book. I think it is always really helpful to read the players perspective of a hand and the thought processes that went into playing it, and reflections (if there are any) about how he would do things differently with the benefit of hindsight. What adds value is then the commentary from a mathematical perspective, which really puts the focus on helping other p[layers to improve. Feels like a really humble but savvy businessman. Really admire the guy. Specially coming from an Asian country. Will definitely look into his upcoming book when I get the time. Ual congratulation for The champions. Vary good . All of us who saw that final of the WSOP, we know how exciting it was, and the serenity of Nguyen to achieve victory and such a sweet prize. Personally I would love this book that I find interesting in the study of the hands played and their biography. Nguyen’s excellent initiative in sharing this information. 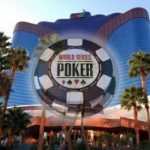 I watched the final table at the WSOP,and I was glad that Nguyen won . He played well and deserved to win,congratulations ! !